Limit 1 per person. Valid toward all classes and services. By appointment only. Full value of Gift Certificate must be redeemed in 1 transaction. 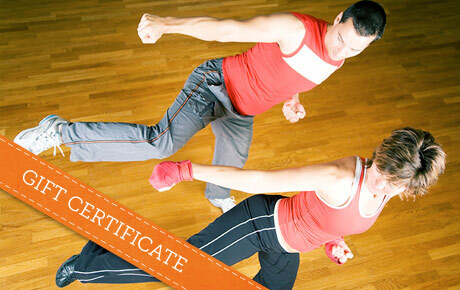 Train like a pro with 50% off a $50 Gift Certificate to MBD Martial Arts Academy in Des Plaines. This state-of-the-art facility offers classes in a variety of martial arts disciplines for students of all ages and skill levels. Whether you’re interested in getting fit or training to fight, MBD has the perfect class for you. Their courses in MMA, karate, grappling and more have produced champions. They also offer karate for kids and a women's self-defense class. Owners Michelle and Ben De La Rosa possess an impressive number of certifications and affiliations. The expert instructors work hard to ensure all students have a fun and meaningful learning experience. Train your body and your brain with this deal.